If you caught our blog post yesterday, then you know that this week we’re starting a mini-series within our larger BHL and Our Users series. This mini-series spotlights a few of the EOL Fellows – scientists who have been awarded a fellowship through the EOL Rubenstein Fellows Competition – and discusses not only their work but also how they use BHL to support it. For this, our first post, we feature Dr. Breda Zimkus, a Post-Doctoral Fellow and Genetics Resources Facility Project Manager at the Museum of Comparative Zoology at Harvard University. Q: What are your research interests/field(s) of study & where do you do the bulk of your work (country)? A: I am a biologist interested in phylogenetics, biogeography and conservation of amphibians and reptiles. My research integrates a broad range of techniques, including fieldwork, taxonomy and molecular systematics to interpret patterns of speciation and diversity. I am particularly interested in the phylogenetic diversification of African amphibians and use of molecular tools to define species boundaries. I have worked in many East African countries (Ethiopia, Malawi, Tanzania), and my most recent fieldwork in May/June 2011 was in the Central African country of Gabon where I completed a survey of amphibians of the Batéké Plateau National Park, which borders the Republic of Congo. Q: In the program, Fellowships are expected to serve as a complimentary funding source to existing funding that supports your primary research activities. Please describe what you primary research activities are. A: I am currently studying a number of frog groups that are distributed across sub-Saharan Africa, including puddle frogs (Phrynobatrachidae), rocket frogs (Ptychadenidae) and sand frogs (Pyxicephalidae: Tomopterna). I am using molecular systematics to identify cryptic species and investigating the complex diversification patterns of these lineages across the continent. In addition to being an Encyclopedia of Life Rubenstein Fellow this past year, I was also the recipient of a Ethel K. Allen, Sigma Delta Epsilon/Graduate Women In Science Fellowship, which funded my post-doctoral work on rocket frogs. Q: Please describe how you use EOL to disseminate or support your primary research activities, or what your primary duties related to EOL are. A: Africa still remains one of the most poorly understood areas for amphibians globally, with species rarely collected and basic data on their ecology and distribution incompletely understood. Consequently, conservation status is only adequately known for some species. This lack of knowledge is particularly worrying as concentrations of species are found in a number of sub-Saharan regions seriously threatened by environmental change. There is also a serious conservation risk to amphibians globally with the emerging prevalence of the fungal disease chytridiomycosis, possibly responsible for the extinction of many species. As an EOL fellow, I developed the African amphibian Lifedesk, so basic taxonomic data could be assembled to facilitate research. 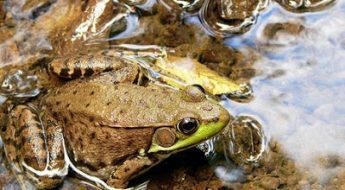 The website serves as a gateway for information regarding African amphibian species, where participants will write and edit species pages, upload images, and maintain bibliographic resources. 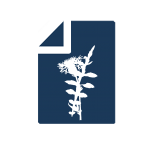 In addition to serving as a stand-alone resource, this LifeDesk feeds content directly into the Encyclopedia of Life (EOL) and AmphibiaWeb. Q: Who is your Mentor, what is their area of interest (research activities), and how have they supported you throughout your Fellowship? A: I have two mentors for this project. My post-doctoral research, including my EOL work, is currently being conducted in the laboratory of Dr. James Hanken of Harvard University. The Hanken Lab studies the evolution of morphology, developmental biology, and systematics and serves as a community research facility for NSF’s AmphibiaTree project. Most work focuses on amphibians but otherwise addresses a wide range of topics, taxa and methodologies. I am conducting my EOL Fellowship work in collaboration with Dr. Simon Loader, Director of the Molecular Systematics Laboratory and Post-doctoral Researcher at the Institute of Biogeography, University of Basel. His research is specifically focused on the phylogenetic diversification of African amphibians, using an integrative approach to interpret patterns of diversity in Africa. Q: How does BHL support your Fellows activities, as well as those research activities that fall outside of your duties as an EOL Fellow? A: BHL has been integral to both my EOL Fellow work and my primary research on discovering African amphibians species because original species descriptions and taxonomic revisions are essential to those working on species identification. One of the major goals of the African amphibians Lifedesk is to make PDFs of all non-copyrighted material available to herpetologists around the world. Many of the most important African amphibian research was done in the early 20th century, and these manuscripts were published in rare journals. Thankfully, BHL has digitized many of these important works, so I was able to assemble PDFs online using the BHL website and upload them to the African amphibians Lifedesk. Q: When did you first discover BHL? 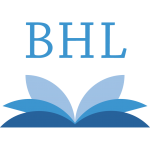 A: I first heard about BHL from the librarians at the Ernst Mayr Library of the Museum of Comparative Zoology at Harvard University while conducting my PhD research. At that point I used BHL only if I was unable to find a reference in the Ernst Mayr library. When I began my EOL fellowship, I began to use BHL on a daily basis, compiling PDFs to upload to the African amphibians Lifedesk. 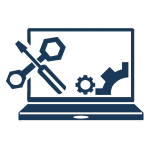 Q: What are your favorite features/services on BHL? A: I am lucky to be at an institution with an amazing library system, but BHL makes biodiversity literature accessible to everyone with an internet connection. It also allows me to have electronic copies of papers on my computer, so I have them whenever I need them. Q: If you could change one thing about BHL, or suggest one thing to be the next developmental priority for BHL, what would it be? A: It does take time to assemble PDFs because you must locate the journal, find the issue, select each individual page of that specific issue and then have the document emailed to you. I would love to see a time when I can search for a title of a specific paper and find the PDF already assembled. Q: Do you have a favorite book in BHL, or a book that has most supported your research activities or EOL responsibilities? A: George Albert Boulenger (1858-1937) was a zoologist that described an incredible number of amphibians (556 species), reptiles (872 species) and fish (1,096 species). Many of Boulenger’s African amphibian descriptions were published in the Proceedings of the Zoological Society of London. I found his work published in 1900 entitled “A list of the batrachians and reptiles of the Gaboon (French Congo), with descriptions of new genera and species” to be very useful for my recent trip to Gabon. Thank you, Dr. Zimkus, for all the valuable research you have conducted on amphibians and reptiles, and for your pioneering efforts on the African amphibians Lifedesk for EOL! 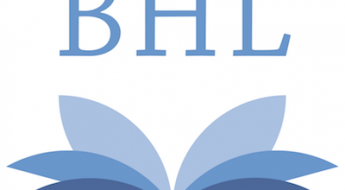 We are so thrilled that BHL has been a part of the endeavor, particularly as the library at your home institution is one of the key members of BHL (Ernst Mayr Library, Harvard University)! As to your desire to eventually be able to find already-assembled PDF articles from BHL, we have been in the process of creating Citebank for some time now, with just that objective in mind. Citebank will act as an article repository, indexing and providing PDFs to articles found within larger journals and books in BHL. 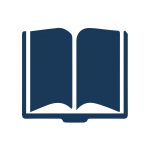 Though still in the developmental stage, Citebank is live on the web and already indexes and provides PDFs for a great deal of articles from BHL. 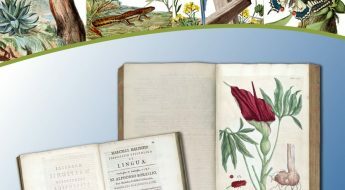 We hope that this, and our other BHL efforts, will continue to play an important role in your vital research and conservation activities! BHL and EOL at ALA Midwinter 2012! BHL and Our Users: Highlighting EOL Fellows!